ideal for heat protection during thermal styling. 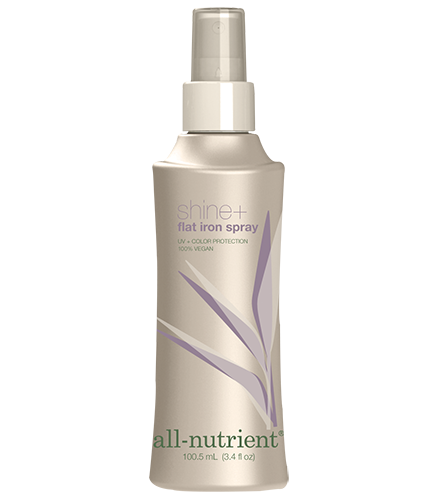 Shine+ Flat Iron Spray is a thermal protectant that adds luster with a light hold for flat iron styling. It nourishes and seals the hair shaft with vitamins and natural oils to keep hair healthy, while providing ultimate anti-static and humidity control. Spray on dry hair, section by section, prior to using a flat iron.